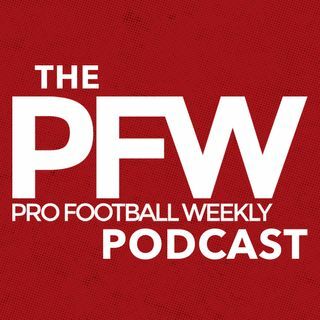 Brady Quinn (@3rd_Goal) has the unique perspective of what this final week is like for a first-round pick before the NFL Draft. Quinn joins host Nate Atkins to talk about the big trade between the Browns and Eagles and what it means for both teams. Brady and Nate talk about Jared Goff vs. Carson Wentz and which QB fits better with the Rams and Eagles. They also talk about the final week for first round picks and what that experience is like. Finally, Brady gives us a couple of names to watch ... See More for the back end of the first round and early second round of the NFL Draft.